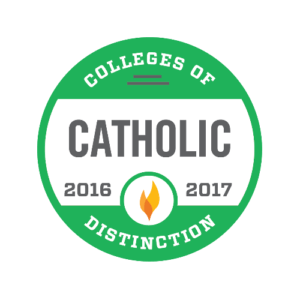 St. Mary’s University recently became one of about 300 schools in the nation recognized as Colleges of Distinction. 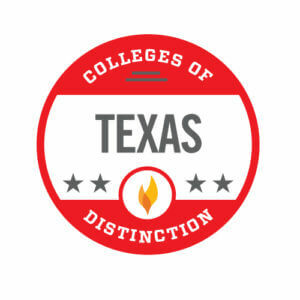 An honor, not a ranking, Colleges of Distinction focuses on four distinctions: engaged students, great teaching, vibrant community and successful outcomes. The Colleges of Distinction methodology is a mix of qualitative and quantitative information gathered from college admission experts around the country. High school counselors and college administrators make nominations, and each school is evaluated on key indicators including student engagement, student empowerment and curricular innovation. 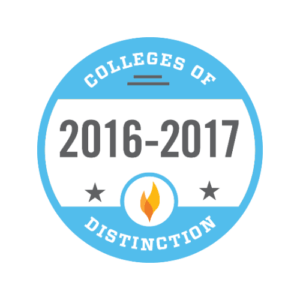 Colleges that have distinguished themselves in each of the four distinctions and have demonstrated dedication to enriching student outcomes through innovative learning opportunities are invited to join Colleges of Distinction. The selection process also includes a review of each institution’s freshman experience, as well as its general education program, strategic plan, and alumni success and satisfaction measures. For more than 15 years, the Colleges of Distinction website and guidebook have recognized and honored schools throughout the U.S. for excellence in undergraduate-focused higher education. St. Mary’s was ranked third in the West region in the Best Value Schools rankings by U.S. News & World Report in the 2017 edition of its annual Best Colleges guide. In July, Money Magazine ranked St. Mary’s best in San Antonio, fourth in Texas and 52nd nationally among 705 colleges and universities in its Best Value Colleges ranking. Last year, the Brookings Institution listed St. Mary’s as best in San Antonio, tied for first in Texas and 17th in the nation for preparing our graduates for career success.